Dublin, a city whose median population is under the age of 30, is a mecca for students and young adults. You'll never be at a loss for things to do in Dublin. You can catch a play at the world-renowned Abbey Theatre, sample the wide variety of cafes and entertainment venues in Temple Bar, or simply kick back and relax in Phoenix Park, one of the largest city parks in Europe. 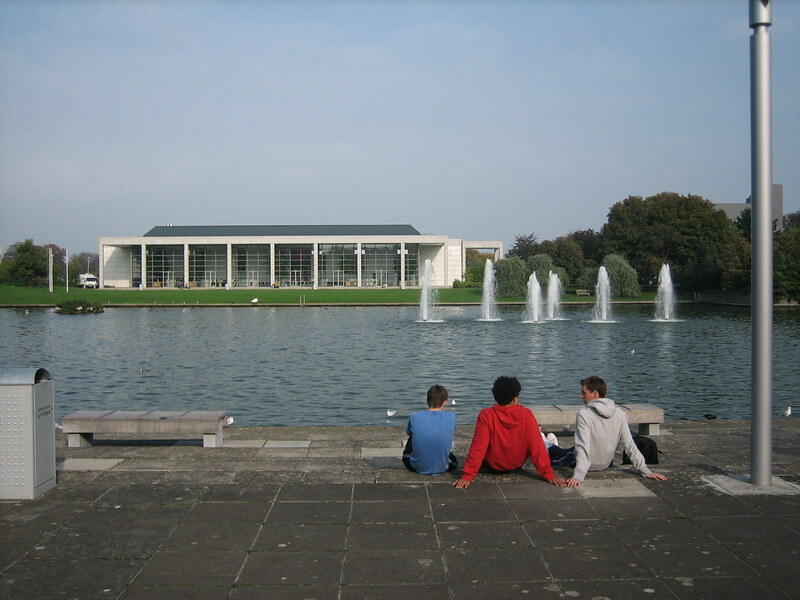 University College Dublin (UCD) is the largest of the colleges of the National University of Ireland. Set amid a beautifully landscaped, 300-acre former estate, the campus exudes a contemporary feel with its predominance of modern buildings and facilities. Student can enroll in either the UCD Quinn School of Business or Faculty of Fine Arts. Please note that the 'Areas of Study' include both Quinn and Fine Arts. For more program specifics please contact Amanda Zimmerman (zimmerma@arcadia.edu). Students must take 5 modules (courses) while participating in this exchange and obtain UT in-residence credit. All grades earned for the courses undertaken are computed into the official UT Austin GPA, just as they would be for grade earned in courses taken on campus. Courses taught by local faculty. Recommended 3.0 GPA, good academic standing. Sophomore standing at the time of departure. Students pay a one-time $75 application fee and regular UT tuition for semester abroad. Students are responsible for airfare, passport/VISA, food, local transportation, and general costs of living. Financial aid scholarships may be used. 1) Attend an "Explore: UK & Ireland" info session. Dates and locations listed on website. 2) See an academic advisor to discuss needed credit while abroad. 3) Attend a "Ready to Apply: UK & Ireland" session. Dates and locations given at Explore session. 4) Attend Mandatory Pre-departure Orientation. Eligibility restricted to students admitted to the UT Law program. 3.0 minimum GPA and 29 credits at time of application. Completion of all required classes recommended. Students pay $75 app fee and regular UT tuition for semester abroad. Students are responsible for airfare, passport/VISA, housing, food, local transportation, living expenses, emergency and health insurance coverage per week. Financial aid and scholarships may be used. UT Engineering Prof.Thomas Connolly teaches a required online course for engineering exchange students: ES 177, Cultural Analysis for Global Professionals. It carries the Global Cultures Flag. Prior to his academic career, he worked with NASA and the B2 Stealth Bomber. He loves teaching this course. He also teaches Dynamics abroad. One time application fee of $75, $500 exchange fee, and regular UT Tuition and fees. Students responsible for airfare, passport/VISA, housing, food, transportation and general costs of living. Financial aid and scholarships students receive apply to study abroad. Contact International Engineering Education in EER 2.608 iee@engr.utexas.edu or email helena@austin.utexas.edu to start your application. 8 week summer internship plus coursework: internship seminar and one course from Business Analytics, Irish History, & International Business. Accommodation will be provided on-campus at UCD for the duration of the Internship. Further information will be provided when confirmed on the program. Estimated Costs include program fee, housing, transportation, flight, books, food, passport, medical insurance, and personal expenses.